← Black Friday Sale! 11/25/16 from 6 a.m. to 8 p.m. Following up our Black Friday Sale, is our Cyber Monday sale. Jump on the couch, and click away while we pack your orders and ship em to your front door. Don’t miss out theres always some good stuff for dirt cheap!!!! Thank you for your continued support. 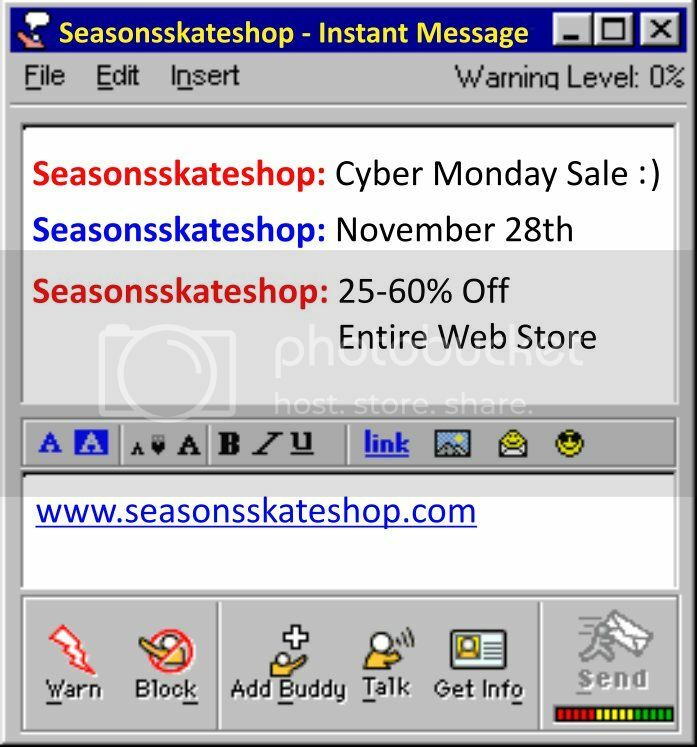 This entry was posted in Featured, News and tagged Albany NY, Cyber Monday, Seasons Skateshop. Bookmark the permalink.